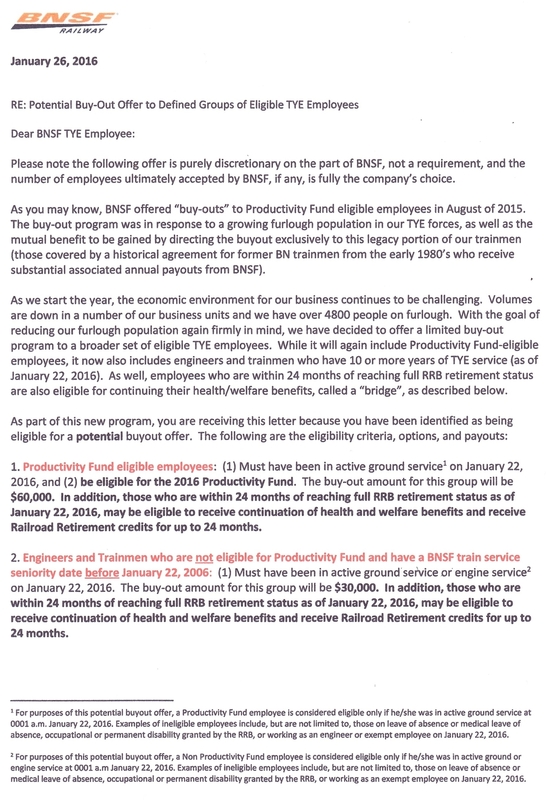 Attached is a copy of the most recent communication BNSF Labor Relations will issue regarding their new selective offer for voluntary separation. You may also follow the link below for a downloadable and printable version. While BNSF will be mailing a copy to each eligible employee, every member should be aware of these details. As we have advised from the start, if you have questions regarding your decision to accept this offer, please personally contact both the RRB and United Health Care to review your personal scenario.